'Knockin' on heaven's door' was written by Bob Dylan for the soundtrack of the 1973 movie 'Pat Garrett & Billy the Kid'. The song describes the feelings and impressions of a dying deputy. Eric Clapton recorded a version of the song in June 1975 and released it as a single later that year. 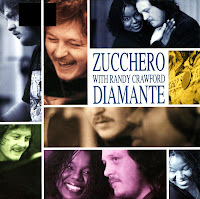 The song was not included on a full-length album until the release of the 1982 compilation 'Time pieces: The best of Eric Clapton'. 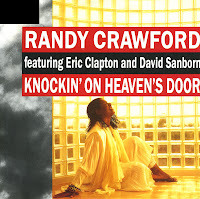 In 1989, Clapton and David Sanborn backed singer Randy Crawford in a new version, which was recorded for the soundtrack of the movie 'Lethal Weapon 2'. This version reached number 10 in the Dutch Top 40. 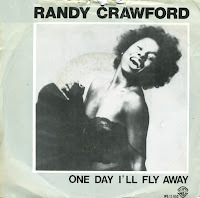 Randy Crawford left the Crusaders in 1979 and started a solo career. It took off right away with this single, the beautiful ballad 'One day I'll fly away'. I remember it became a chart tip on the Dutch broadcaster TROS, played every hour on the radio. At the end of the day I wished she would really fly away. The single reached number 2 in the UK singles chart and number 1 in the Dutch Top 40 in the autumn on 1980. So I'm going to do something I've never done on this blog before: a series of postings. A chronological listing of all that I've bought in London during my one day shopping spree - a series of posts that will take me a few days actually. I came into London by plane, taking the train from Gatwick to Victoria and then went to Ealing Broadway to check out the Oxfam music shop. It was a disappointment: they only had some second hand cd's and lp's, no singles at all. So I went back. My first successful visit was in Notting Hill Gate, in the 'Soul and Dance Exchange'. I never went there before but they had a nice amount of singles there. 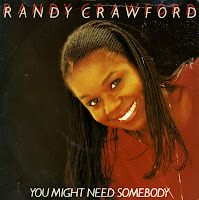 My first catch: 'You might need somebody' by Randy Crawford, a hit for her 1981, peaking at number 11 in the UK singles chart.